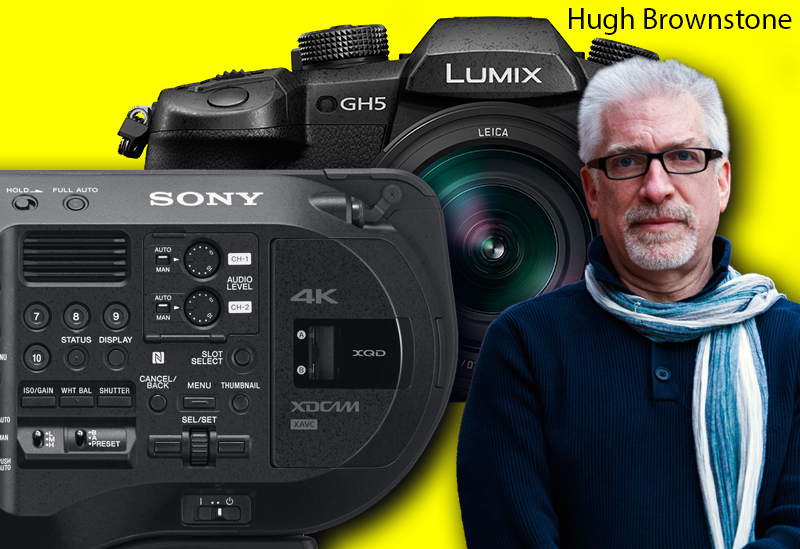 GH5CREW is my latest blog for Lumix GH5 owners is a continuation from GH4CREW. I will post any new footage and blog about my experiences using the GH5 from the 20th of April 2017. 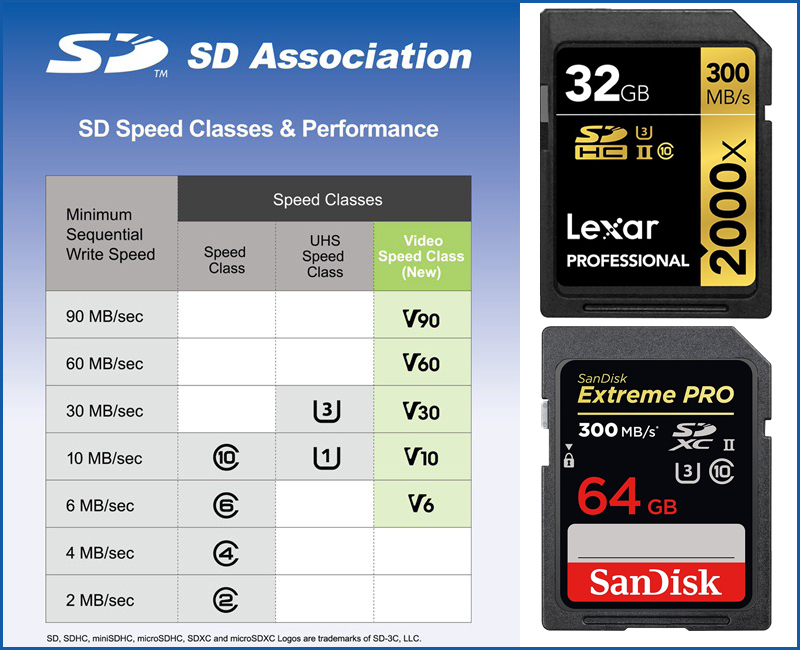 Most new GH5 stories will end up on GH5CREW as HD Warrior is not a GH5 exclusive blog. You can access the new blog from the right hand side of the advertising part of the blog, directly below the JVC advert. Catching up with some older news, the RODE SM3R looks to be a better mounting system for shotgun mics on your camcorder and for boom setups. 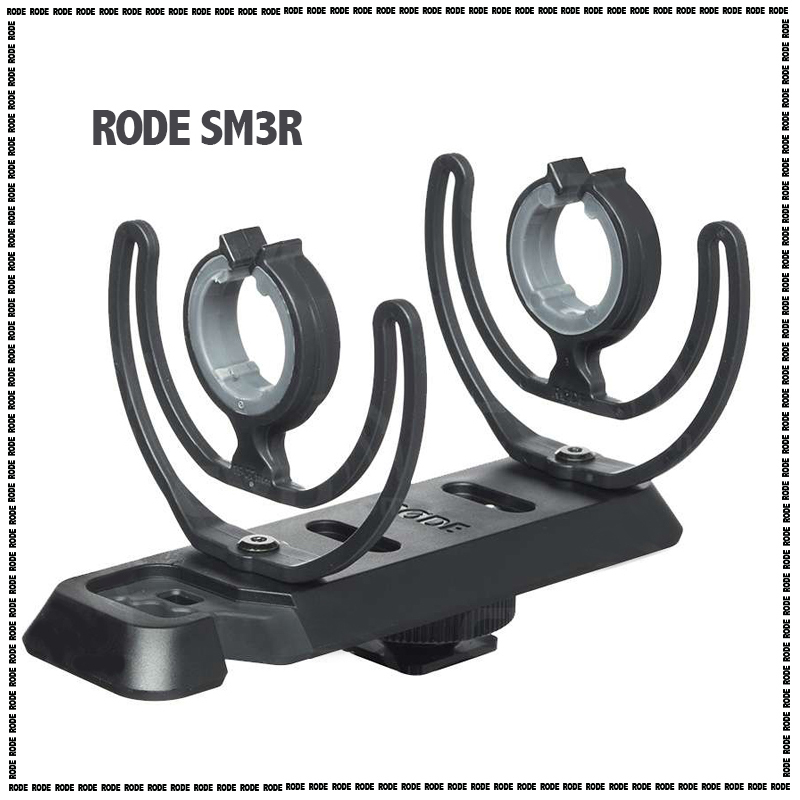 The SM3-R is a suspension shock mount with camera shoe adaptor for mounting various RØDE microphones onto a camera via the standard hot/cold shoe mount. 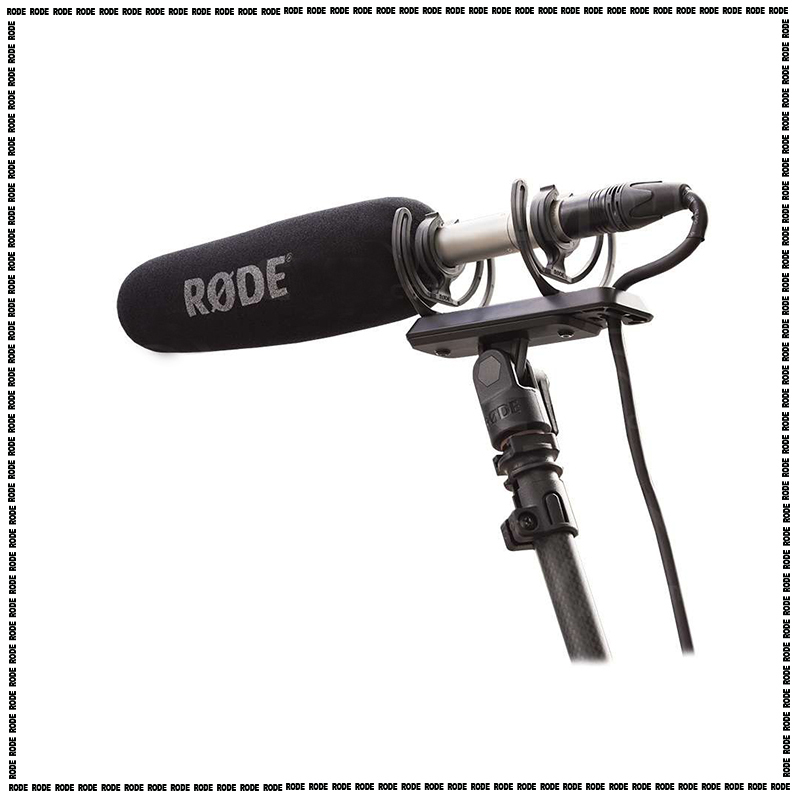 The SM3-R is equipped with dual Rycote Lyre mounts to ensure maximum isolation from any handling vibrations, four possible mounting points to suit the complete range of compatible RØDE on-camera microphones, and integrated cable management clip. 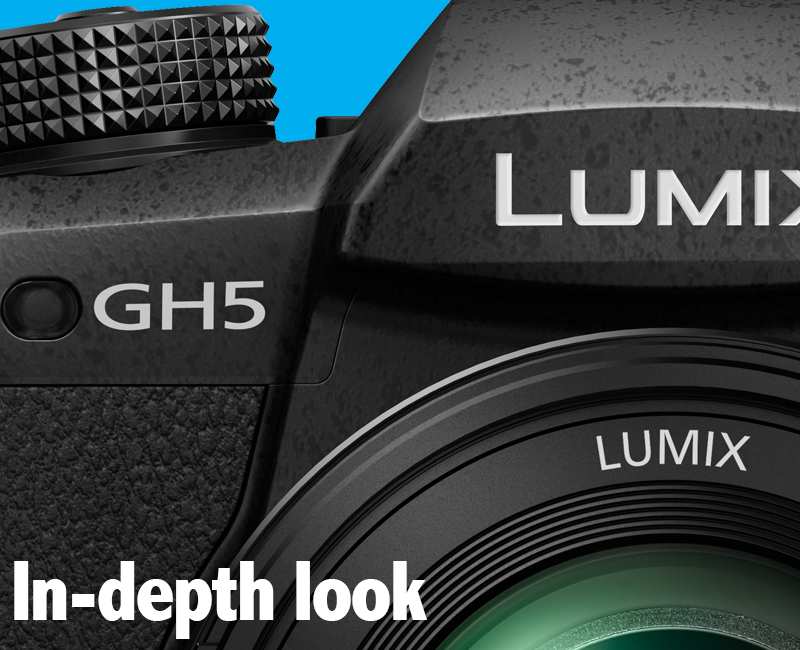 Scott Mellish from Panasonic Australia takes us through some of the fantastic new features coming with the Lumix GH5 in March 2017. 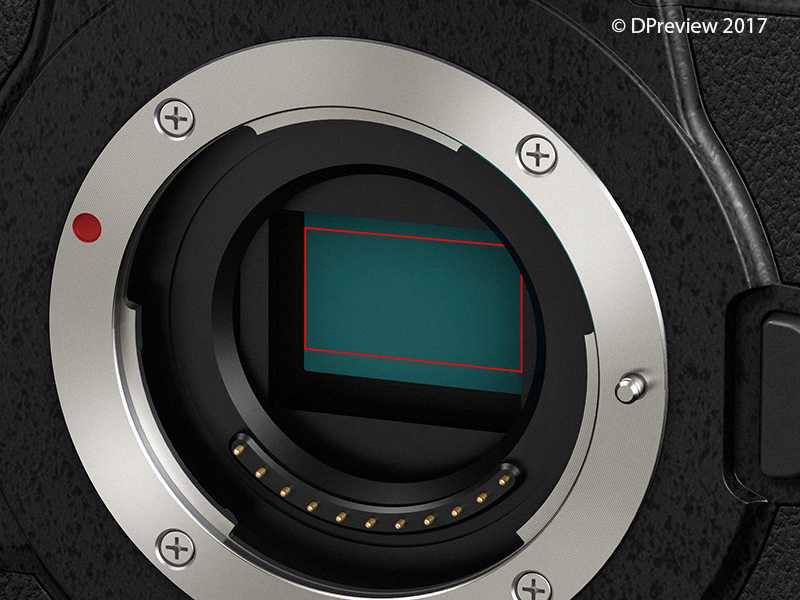 The Irix 15mm f2.4 Blackstone lens review on the JVC LS300 using the full Super 35mm sensor. Looking forward to my GH5 I am selling these items as I have no further use for them. 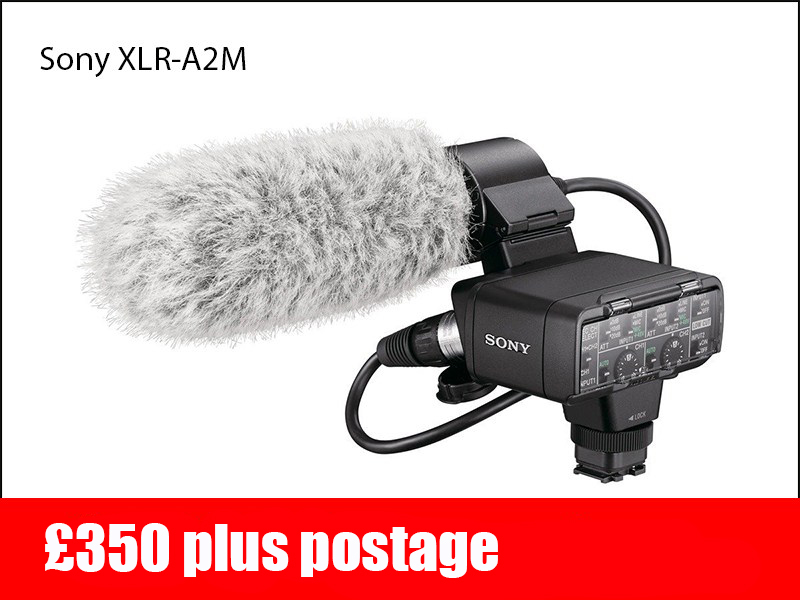 The Sony XLR-A2M is as good as new and comes in its original box and has hardly been used, at £350 saving you over £200 on a new one. 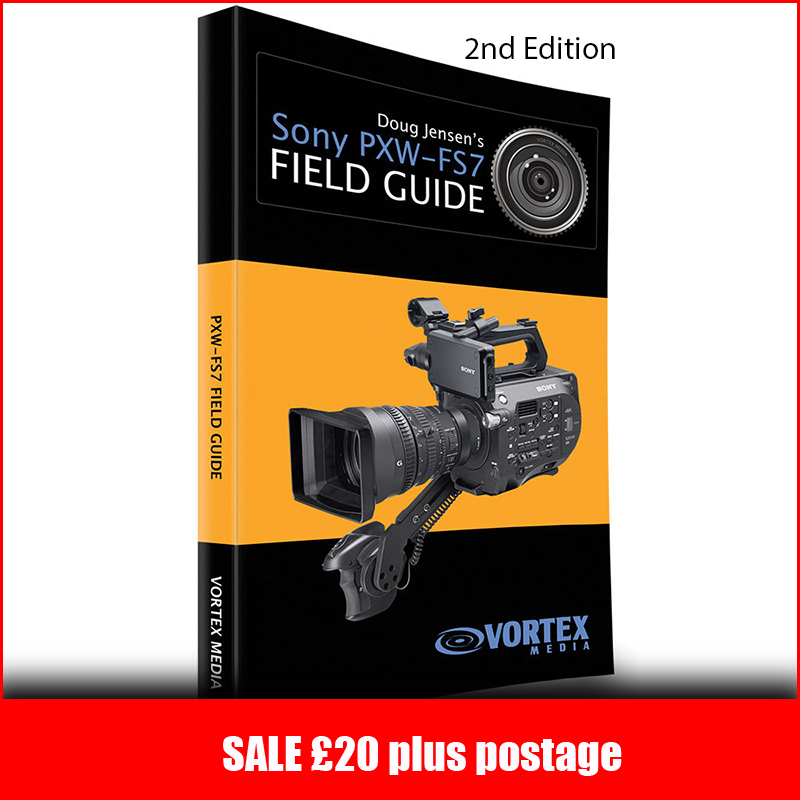 This Sony FS7 field guide by Doug Jensen cost me £60 if you include postage from the states, its the 2nd edition which included some updated information, a great companion to any camera bag assuming you have an FS7. Once again if you want any item send me an email to smallvideo@mac.com done on a first come first serve basis. 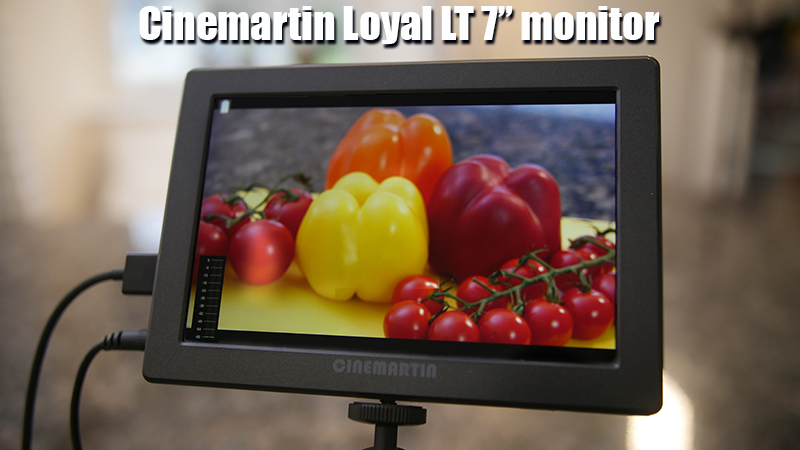 Available now is the new 7″ Loyal LT series of Cinemartin monitors co-developed to bring filmmakers, shooters, drone operators a professional video monitor, with HDMI video input featuring audio monitoring, histogram and a lot of video assist tools for you to get your perfect picture. You can see from my photograph of the screen with the colour checker how accurate the screen actually is. 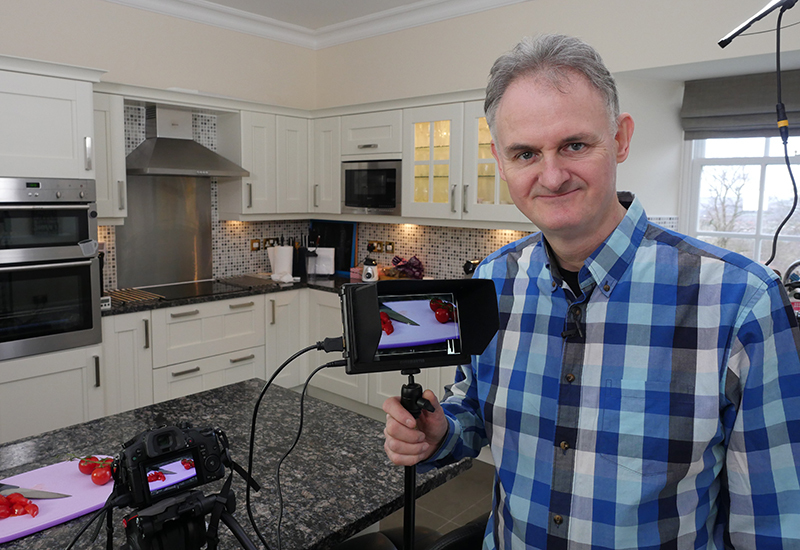 I am very impressed with the screen accuracy so much so I did not need my £2,500 Sony 740 monitor on this shoot. 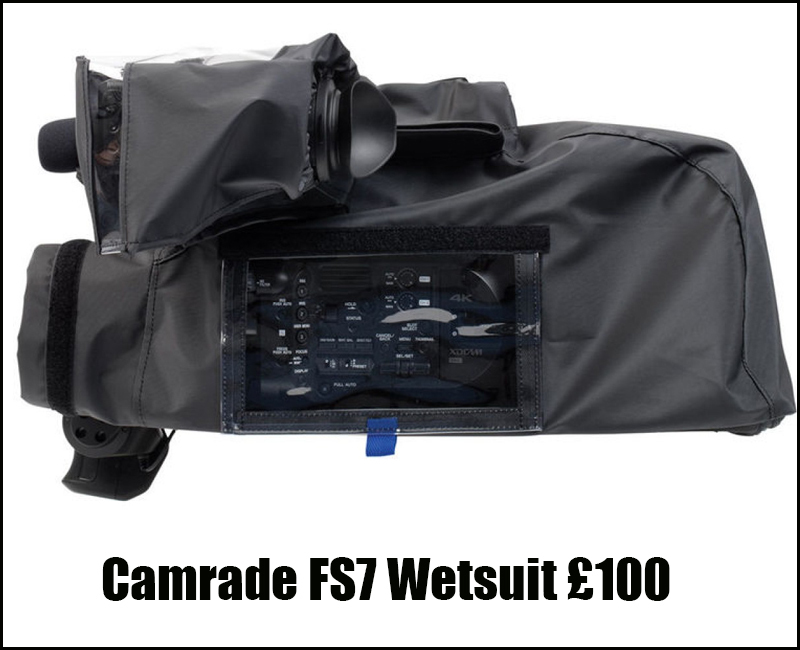 For outdoor shoots the 7″ Loyal LT comes with a handy screen hood. 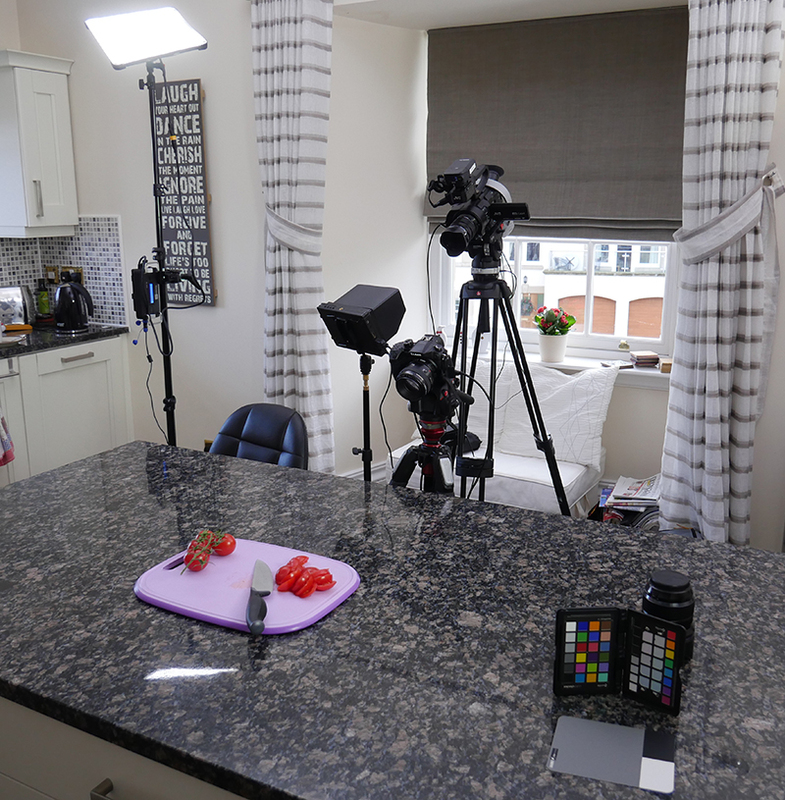 Cameras like the Lumix GH4 need monitoring in my opinion and the Loyal LT 7″ is just the job. It has a 12v input which I am using today as I prefer not to use battery unless I am outside and a Sony “L” plate on the back of the monitor. 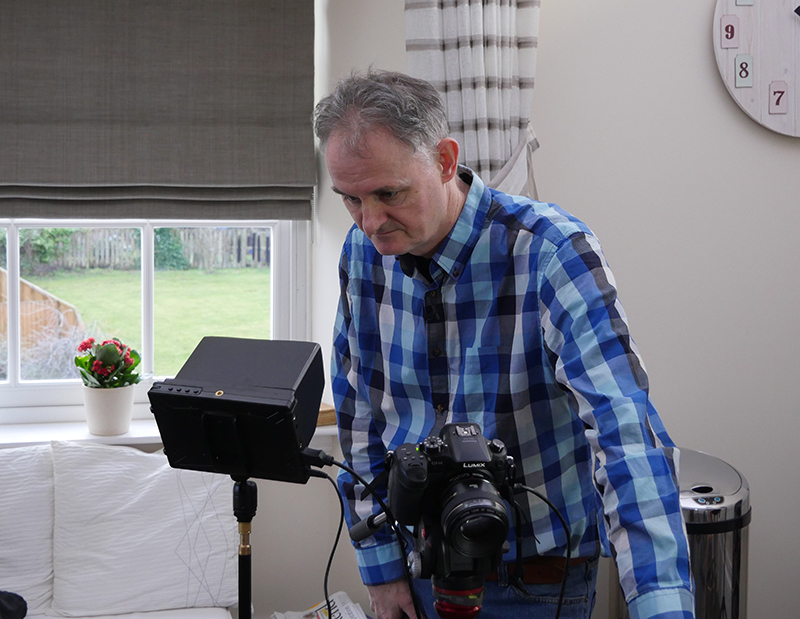 The 7″ Loyal monitor feature a native 1920 x 1080 resolution, up to 16.7 million colours and 600 NIT’s (cd/m2) of luminance with a host of video assist features, unlike the 5.7″ this version does not come with SDI in and out which is not necessary if all you are using is a DSLR or in my case a DSLM, a stunning monitor at a stunning price. Please note the hood, battery slot and arm are €50 extra. Loyal LT 7 Monitor from Philip Johnston on Vimeo. IMPORTANT…The micro 4/3 crop remains the same on the GH5 which is two times if comparing it to a 35mm full frame sensor. 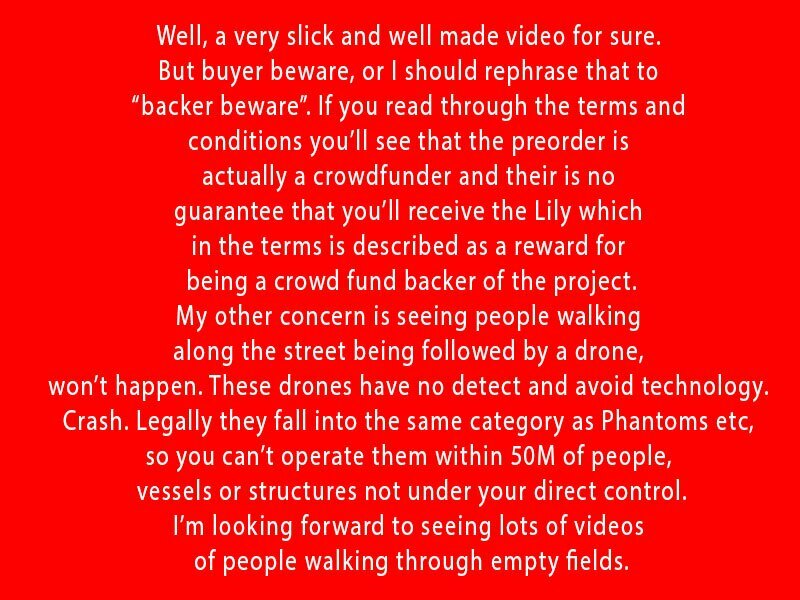 It all started on the 15th of May 2015 when Lily decided to produce a drone for $500, but even back then Simon Beer had reservations which I printed on my blog. Fortunately for me I bailed out 6 months ago with a full refund. Just goes to show how the British pound has lost against the dollar since last year. Last year I was getting £330 for my $500 and today it would be £407. 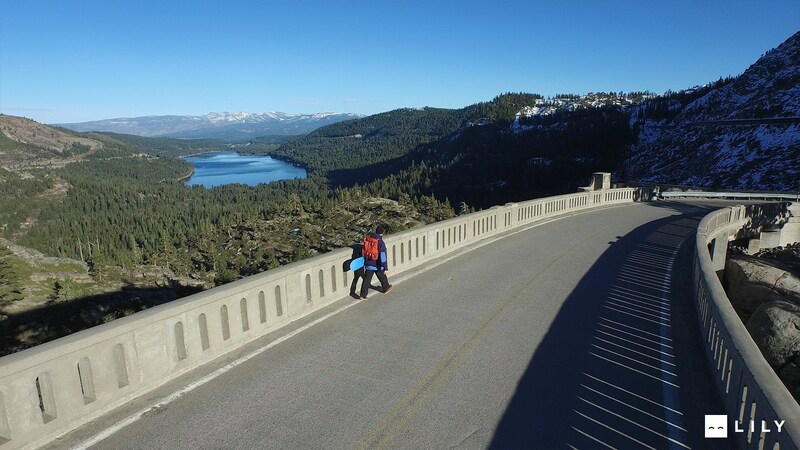 Lets be honest with the DJI Mavic and the Karma this drone did not stand a chance. Antoine and Henry here from the Lily team. 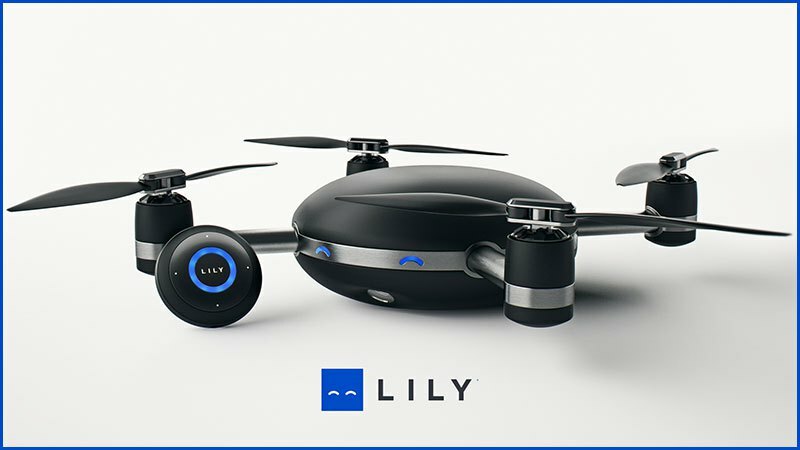 When Lily set out on the journey to create a flying camera over 3 years ago, we were determined to develop and deliver a product that would exceed your expectations. Rumour site gets Panasonic DVX200 owners excited over 8bit upgrade to 10bit…NOT HAPPENING. Sorry chaps but having spoken to Panasonic Broadcast today they are adamant that the DVX200 is not going to get any 10bit upgrade, they don’t have nearly enough staff to start swapping boards out of the DVX200. Please remember the GH5 is already 10bit which will be fully enabled with a firmware upgrade. 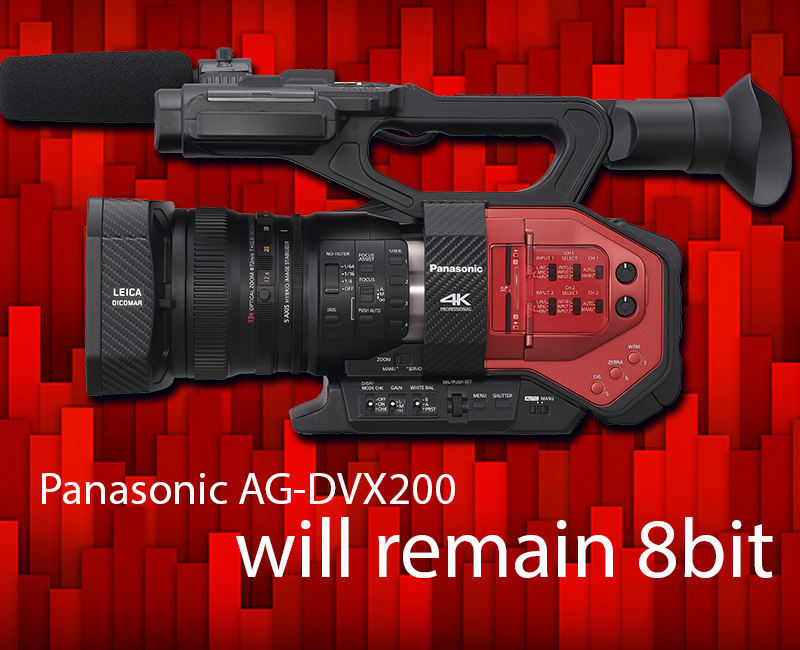 From 4/3 Rumours….Source A: A source at Panasonic has told me they are looking at upgrading the DVX200 to include 10bit recording. This may involve a paid return and upgrade program, it hasn’t been decided yet. They are unsure if the internal boards and processor will need to be changed to allow this. Either way my source thinks an upgrade is very likley on the DVX200 as the GH5 is currently a lower priced camera with higher specs. Source B: Two of my friends at CES heard from a Panasonic rep that the DVX200 is to get 10bit 4K internal recording, the rep did not say when or if it would be a new model or a paid upgrade, or any more details. Just that it would be available around the same time as it was for the GH5. Barry Green Replies on DVX-USER..
Of course not. Anything you ever read on those rumor sites is made-up hogwash. They’re about as accurate as a blind man on a shooting range, after he’s had a few drinks and his buddies have spun him around a few times to get him dizzy. You will never hear actual company news “leaked” to some rumor site. A multi-billion-dollar communications company issues press releases, it doesn’t “leak” insider info to some “rumor” site. I mean, think about it — that just isn’t how a major organization communicates with its customers! Instead of the “FT” in their rumor name meaning “Four Thirds”, I find it more accurate to call them “Full of Turds”. If there is any shred of a grain of a molecule of an atom of a quark of a string of truth to this whatsoever, it probably came about by some rumormonger asking some salesman “will you upgrade the DVX200 to 10-bit recording”, and whoever they asked said “well, I don’t think so, I mean, the hardware doesn’t allow it, they only way they could do that is you’d have to actually send the camera back to the factory and they’d have to install some different hardware and I’m sure that would cost a lot.” So the rumormonger took that and said “good news! The factory is going to upgrade the DVX200 to 10-bit!!! !” This is nothing more than the “fake news” being decried worldwide. They’re engaged in a race for headlines, and they don’t care about accuracy. Philip Johnston got it right. And reading those rumor sites is about as productive as jamming needles under your fingernails. Might be more fun, but ultimately it’s about equivalent in value for time spent.